For a Healthy, Straight Smile in Less Time, Call Walker Orthodontics Today! If you are looking for noninvasive accelerated braces treatment from an expert Lunenburg, MA, or Harvard, MA, orthodontist, then Walker Orthodontics has just what you need! We offer multiple options for accelerated braces. Sometimes these are treatments used in conjunction with your braces or Invisalign; sometimes the braces or aligners themselves offer faster treatment times. Whatever treatment path you ultimately opt for, your accelerated braces from Walker Orthodontics will produce that ideal smile before you know it! Getting braces today is a completely different experience than it was 10 years ago. When you opt for SureSmile technology, you can expect faster treatment, fewer appointments, and more precise results. SureSmile is a cutting-edge technology that allows orthodontists to get a 3D-image on your teeth. The SureSmile software then allows them to plot the new positions for each tooth individually, then it maps your treatment plan automatically! The end result is a smile you will love for a lifetime in 29% less time than traditional braces and fewer appointments! Although it is said that “slow and steady wins the race,” SureSmile not only straightens your teeth faster, it also more precise! Typically, you will need to visit your orthodontist every 3-4 weeks for an adjustment. Also, the orthodontist will bend your wire into the correct shape by hand at your appointment. With SureSmile technology, you only need to visit your orthodontist every 7-8 weeks! Additionally, the wire is bent by a precisely-programmed robotic arm, which means the wire is ready to go by the time you are seated in the orthodontic chair. Be sure to ask Dr. Walker how you can benefit from SureSmile technology during your complimentary Walker Orthodontics Smile Assessment! Invisalign straightens your teeth without the use of wires or brackets by using a series of clear, removable aligners that are customized to fit your teeth. These virtually invisible aligners gradually reposition and adjust your teeth into a radiant smile that you’ll be proud to show. 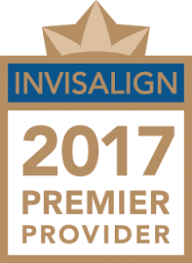 As a Premier Invisalign Provider, Dr. Walker will create an individual treatment plan for you by using Invisalign’s clear, custom-molded aligners to treat your current condition. Invisalign has been successful in giving hundreds of thousands of amazing smiles to both teens and adults. Please contact our Lunenburg, MA, and Harvard, MA, orthodontist to schedule your FREE Walker Orthodontics Smile Assessment to see if Invisalign is right for you! With the AcceleDent Aura system, you can now reduce the time of your orthodontic treatment by up to 50%! Using this pain-free, easy appliance, you’ll achieve your most perfect smile in no time at all. AcceleDent Aura is a light, comfortable, and hands-free appliance that is used 20 minutes per day as a complement to braces to accelerate tooth movement. The patented technology gently vibrates the teeth and surrounding bone, allowing your teeth to move more freely. The best part of the AcceleDent Aura system is that it’s completely safe! You may experience a slight tingling sensation, much like that of the vibration of an electric toothbrush, but it should diminish after you become accustomed to using the appliance. Accelerate your orthodontic experience without sacrificing aesthetics. AcceleDent Aura can be used for adolescents, teens, and adults, and it is completely safe for patients of all ages. Patients using AcceleDent Aura find that the appliance is lightweight and comfortable. In fact, you may even forget you’re using it! The hands-free design allows you to achieve a beautiful, straight smile faster than you ever thought possible – even while reading, watching television, listening to music, or doing school work. Join the 35,000 Happy Smiles Created with Braces from Our Lunenburg, MA & Harvard, MA, Orthodontist! Please call Walker Orthodontics at 978.345.7988 or click here if you have any additional questions about our accelerated treatment options. We will be happy to provide you with all the information that you may need. With two orthodontic offices in the central Massachusetts area, there is sure to be an office near you!